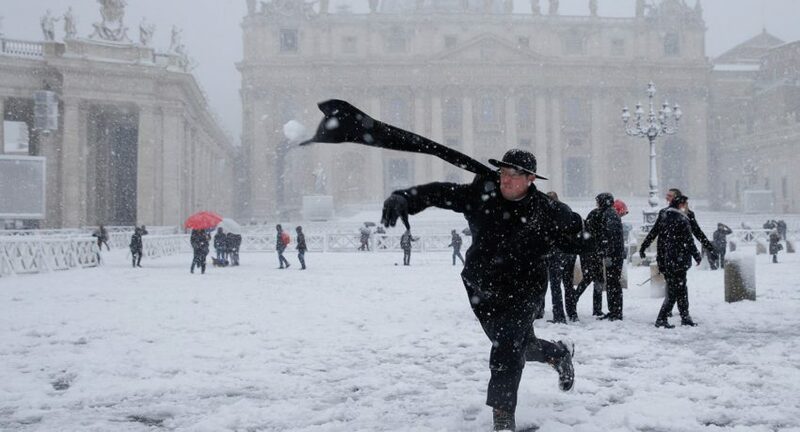 Rome awoke under a blanket of snow on Monday morning. Some areas of the capital covered in five centimetres of the white stuff. It’s the first snowfall in Rome in six years, and it looks stunning. The capital saw its first snowfall in six years, with up to five centimetres of the white stuff in some parts of the city. Half a metre in higher altitude areas of the wider comune. It was 0C on Monday, with a low of -6C forecast until Wednesday, although no more snow is expected to fall. Italy’s Civil Protection Agency announced that the Italian army would be brought in to help clear the streets of Rome. Many schools were closed across the city. Several of the city’s iconic monuments were closed on Monday, including the Colosseum and Roman Forum. Air, road, and rail transport were all affected, with delays to flights at both the city’s airports, Fiumicino and Ciampino. There were also delays to buses and trains, some by up to two hours. Though the Metro was functioning as usual. This 240-hectare green space, tucked in the Appia Antica Regional Park is known for possessing over half of the eleven major Roman aqueducts. However, filled with ancient architecture and historical artefacts that continue to be discovered today, the park has something for everyone. Aqueducts are the remnants of the ancient system used to bring water to the city. The park boasts the underground aqueduct Anio Vetus; the Marcia, Tepula, Julia and Felice aqueducts. Which are laid on top of each other, and Claudia and Anio Novo, which also overlap. It takes around two hours to walk the aqueducts. The park’s Villa Vignacce is also worth seeing. Built between the second and fourth centuries AD most likely by the brick-maker Q. Servilius Pudens, the villa is one of the largest in the area. You can even see Pudens’ stamp on some of the bricks. A rarity as buildings were usually constructed so the stamps didn’t show. 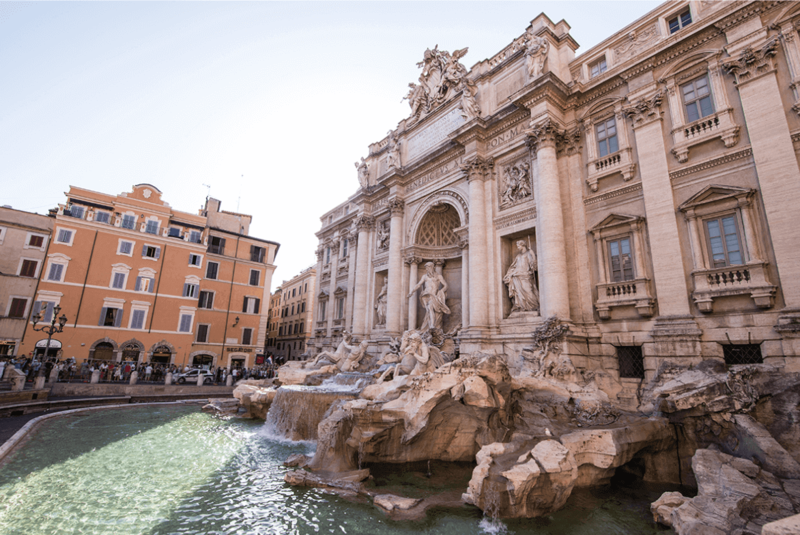 Another one of the park’s architectural highlights is Il Casale di Roma Vecchia. A house-tower that was likely used as part of a coaching inn during the 13th century. There is a lot more buried in the park than just that tomb. Other tombs, some of Via Latina’s paving stones, a hotel with a spa, a dovecote, and what appears to be either a temple or a mausoleum have been uncovered in recent excavations. Of particular interest was the 2009 unearthing of a 1.5-m statue of Marsyas, a figure from Greek mythology, probably dating back to the second century AD. Thanks to its historical attractions and new discoveries, the Parco degli Acquedotti is certainly a timeless and worthwhile place to visit.